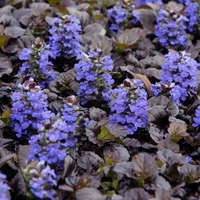 One of the best landscape plants for all-season color. 'Bonfire' PP18585 is one of the most colorful spurges ever invented! 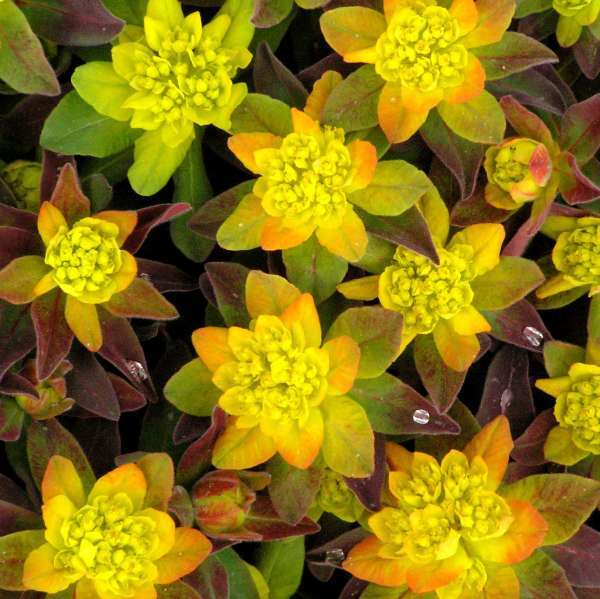 The top growth is a fantastic combination of deep purple, red, and orange leaves with a touch of chartreuse, while the undergrowth is green. 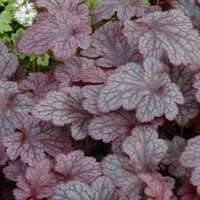 The foliage tends to deepen to burgundy red at the height of summer. Turns rich red in the fall. In late spring, crackling sulfur yellow bracts light up the whole plant for several weeks. But really, who needs flowers with foliage like this?! 'Bonfire' PP18585 is a selection from E. polychroma. 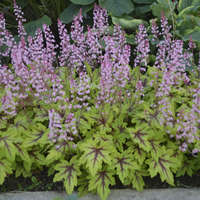 It was introduced by Blooms of Bressingham®. 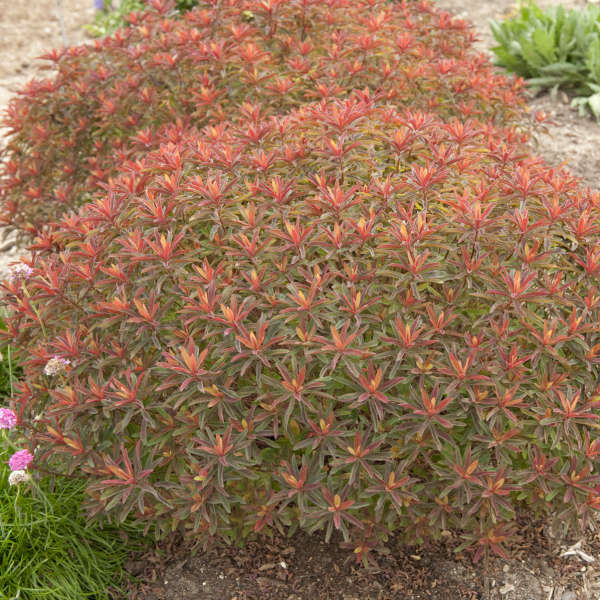 In zone 5, Cushion Spurge grows well in full sun. 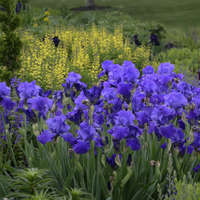 In regions south of there, it is best sited in part shade, avoiding the hot afternoon sun. It prefers average, well-drained soil. 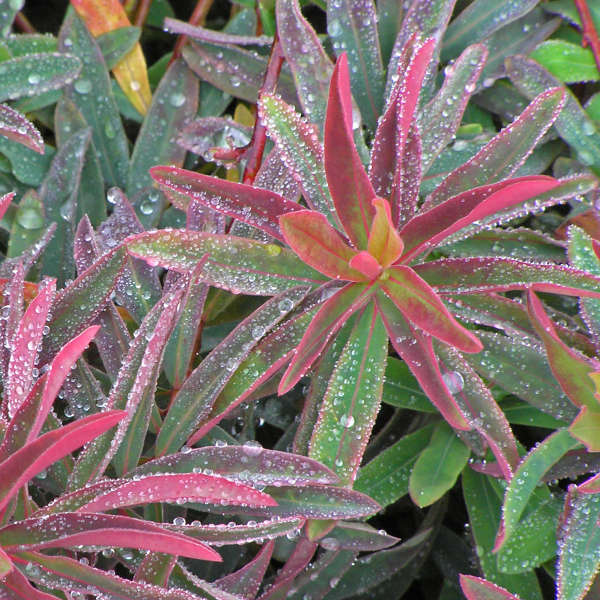 After flowering in spring, Cushion Spurge should be cut back to about 4". This will keep the plant more compact and prevent it from splitting in the center.